Hello everybody. I know its been a while. I've been to a lot of schedule adjustments and because of the heat, I got sick twice (6 days tops) and now I'm just getting back in managing my entertainment blog. I still have a lot of movie reviews to publish so watch out for them because I think most of those movies are still in the cinemas because they are quite good. On the other hand, next week is the worldwide premiere of Iron Man 2 and I'm so excited for it. Now I'm just sharing a very cool IMAX poster of the Mark V armor. For those who just saw this armor, this is the armor in the latest trailer that emerges from a briefcase. Some calls it the portable armor and it looks more light weight compared to Mark IV and Mark VI. This poster is oozing with geek juice and even me I can't get a hold of a ticket for the advance screening. So for those who can't wait to see it here in the Philippines, I think SM Mall of Asia IMAX is having an advance screening this coming April 28 and 29. For what I heard the tickets are priced between P500 - P700. Not really sure. You may visit SM Cinemas website for more info regarding the Advance screening. 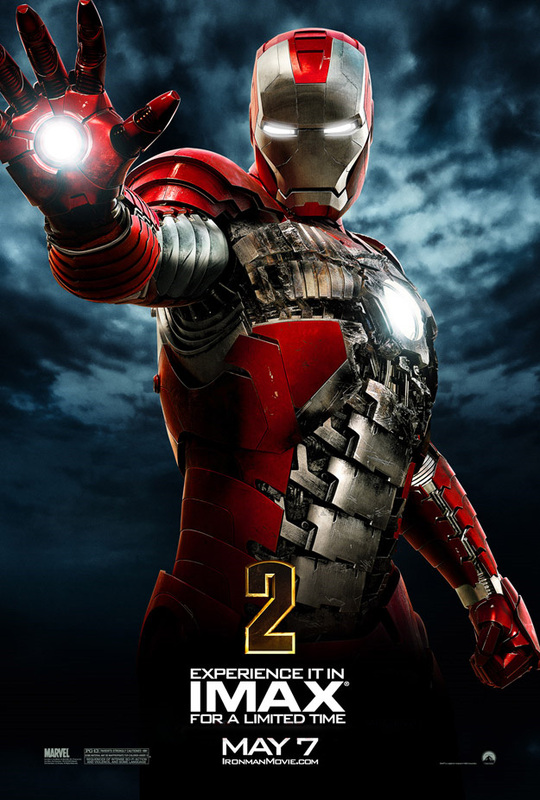 Iron Man 2 will be coming in Philippine theaters next week April 30 distributed by Solar-UIP and Paramount Pictures.